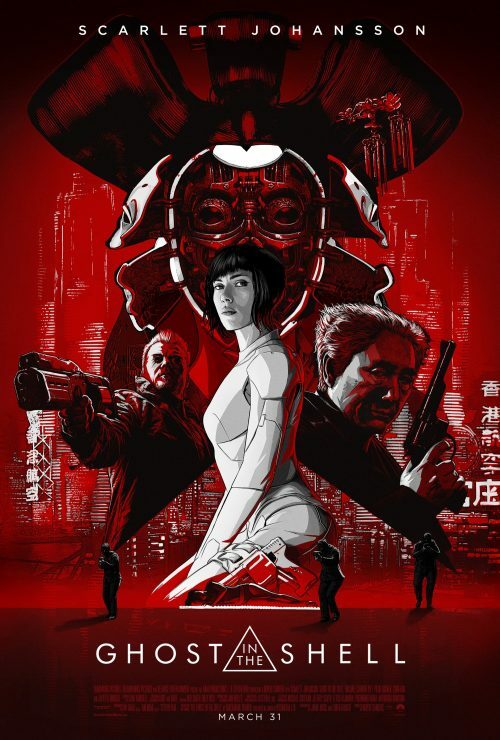 Not that long ago saw the latest 15 second trailer for the upcoming Ghost in the Shell live action remake. Now we get the amazing new poster. It is reminiscent of the classic Blade Runner posters from 1982. That and it is very like the cover of the manga that the film is based on.